Our Department is pleased to welcome Kathryn Sikkink (PhD, Columbia University) as the 2019 Mark Zacher Distinguished Visitor. Sikkink is the Ryan Family Professor of Human Rights Policy at the Harvard Kennedy School and the Carol K. Pforzheimer Professor at the Radcliffe Institute for Advanced Study. The Mark Zacher Distinguished Visitor Program was created by members of the Department of Political Science, with the support of Mark Zacher’s family and many of his former students, to honour his contribution to the teaching, understanding and scholarship of international affairs. Annually, we invite one prominent scholar, leader, or senior elected official who has made significant contributions to the field of international affairs to give a series of lectures, and to meet with students, faculty, and community members. 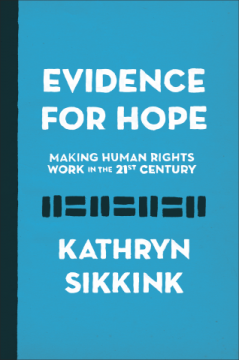 Kathryn Sikkink is perhaps the world’s top scholarly authority on international human rights. She specializes in international norms and institutions, transnational advocacy networks, the impact of human rights law and policies, and transitional justice. Sikkink will be giving two talks during her visit, the first is a public talk held on the evening of Thursday, March 21, 2019 from 6:00-8:00 pm in Jack Poole Hall (RSVP here), and the second is to our Department on March 22, at 12:15pm in the Buchanan Penthouse (RSVP here). Sikkink is a Fellow of the American Philosophical Society, a member of the Council on Foreign Relations, a Fellow of the American Academy of Arts and Sciences, and a member of the Society for Comparative Research. She previously held a Fellowship with the Guggenheim Memorial Foundation, and was a Fulbright Scholar (Argentina). Sikkink is on the editorial board of International Studies Quarterly, International Organization, and The American Political Science Review. 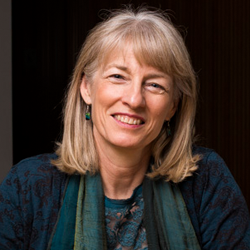 Prior to becoming Faculty at Harvard, Sikkink was a Professor at the University of Minnesota, where she held the McKnight Presidential Chair in Political Science (2008-2013), and was Regents Professor (2006–2013). She has received countless awards for her scholarship, including ISA’s J.Ann Tickner Award (2015), and ISA’s Susan Strange Award (2013). In 2013, ASPA awarded Sikkink the Charles Merriam Award for work that “represents a significant contribution to the art of government through the application of social science research”. “International Pressure on US Human Rights Matters Now More than Ever,” Open Global Rights Blog, November 11, 2016. Sikkink, Kathryn, Geoff Dancy, Bridget Marchesi, Tricia Olsen, Leigh Payne, and Andrew Reiter. “Behind Bars and Bargains: New Findings on Transitional Justice in Emerging Democracies: Research Note.” International Studies Quarterly (Spring 2019). Sikkink, Kathryn, and Averell Schmidt. “Breaking the Ban? The Heterogeneous Impact of US Contestation of the Torture Norm.” Journal of Global Security Studies 4.1 (January 2019): 105-122. Sikkink, Kathryn, and Averell Schmidt. “Partners in Crime: An Empirical Investigation of the CIA Rendition, Detention, and Interrogation Program.” Perspectives on Politics16.4 (December 2018): 1014-1033. A history of the successes of the human rights movement and a case for why human rights work. 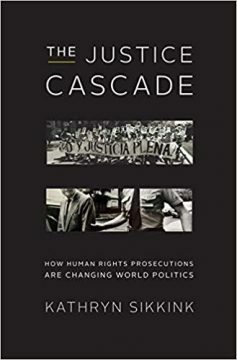 In The Justice Cascade, Sikkink offers a landmark argument for human rights prosecutions as a powerful political tool. She shows how, in just three decades, state leaders in Latin America, Europe, and Africa have lost their immunity from any accountability for their human rights violations, becoming the subjects of highly publicized trials resulting in severe consequences. This shift is affecting the behavior of political leaders worldwide and may change the face of global politics as we know it. Awarded the Robert F. Kennedy Center Book Award and the WOLA/Duke University Award. 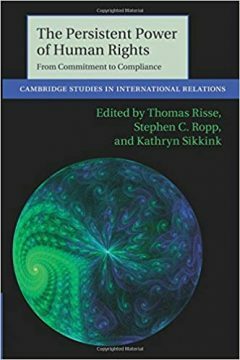 The Persistent Power of Human Rights: From Commitment to Compliance (co-edited with Thomas Risse and Stephen Ropp). The Power of Human Rights (published in 1999) was an innovative and influential contribution to the study of international human rights. At its center was a ‘spiral model’ of human rights change which described the various socialization processes through which international norms were internalized into the domestic practices of various authoritarian states during the Cold War years. The Persistent Power of Human Rights builds on these insights, extending its reach and analysis. It updates our understanding of the various causal mechanisms and conditions which produce behavioural compliance, and expands the range of rights-violating actors examined to include democratic and authoritarian Great Powers, corporations, guerrilla groups, and private actors. Using a unique blend of quantitative and qualitative research and theory, this book yields not only important new academic insights but also a host of useful lessons for policy-makers and practitioners. Kathryn Sikkink believes that the adoption of human rights policy represents a positive change in the relationship between the United States and Latin America. In Mixed Signals she traces a gradual but remarkable shift in U.S. foreign policy over the last generation. By the 1970s, an unthinking anticommunist stance had tarnished the reputation of the U.S. government throughout Latin America, associating Washington with tyrannical and often brutally murderous regimes. 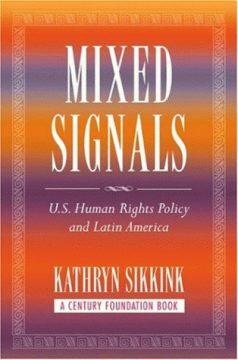 Sikkink recounts the reemergence of human rights as a substantive concern, showing how external pressures from activist groups and the institution of a human rights bureau inside the State Department have combined to remake Washington’s agenda, and its image, in Latin America. The current war against terrorism, Sikkink warns, could repeat the mistakes of the past unless we insist that the struggle against terrorism be conducted with respect for human rights and the rule of law. In Activists beyond Borders, Margaret E. Keck and Kathryn Sikkink examine a type of pressure group that has been largely ignored by political analysts: networks of activists that coalesce and operate across national frontiers. Their targets may be international organizations or the policies of particular states. Historical examples of such transborder alliances include anti-slavery and woman suffrage campaigns. In the past two decades, transnational activism has had a significant impact in human rights, especially in Latin America, and advocacy networks have strongly influenced environmental politics as well. The authors also examine the emergence of an international campaign around violence against women. In Ideas and Institutions, Kathryn Sikkink illuminates a key question in contemporary political economy: What power do ideas wield in the world of politics and policy? 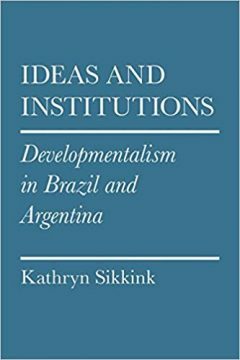 Sikkink traces the effects of one enormously influential set of ideas, developmentalism, on the two largest economies in Latin America, Brazil and Argentina. Introduced under the intellectual leadership of Raúl Prebisch at the U.N. Economic Commission for Latin America, developmentalism was embraced as national policy in many postwar developing economies. Drawing upon extensive archival research and interviews, Sikkink explores the adoption, implementation, and consolidation of the developmentalist model of economic policy in Brazil and Argentina in the 1950s and 1960s, focusing on the governments of Juscelino Kubitschek and Arturo Frondizi, respectively. 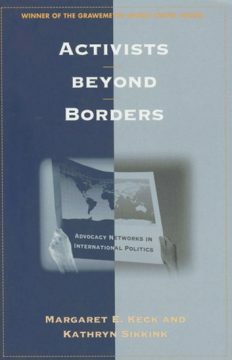 In accounting for the initial decision to adopt developmentalist policies in Latin America and the persistence of the policy package in the region, she highlights the importance of political and economic ideas, the comparative effects of different national institutions, and the variable ability of political leaders to mobilize resources and support.